The following is the Official Result of the 1st BR’s BEER Mile held in Laoag City at the Provincial Oval Track & Athletic Ground o/a 8:00 AM August 12, 2012. Congratulations To All The Participants & Finishers! 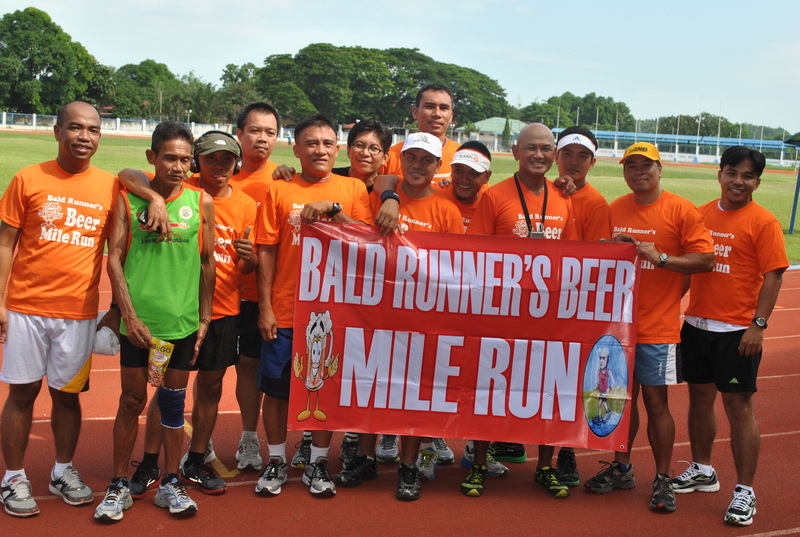 Lol ‘Bald Runners’ Beer mile run. Perhaps Beermile should be a novelty event at the national open that way we would get more people to watch a bunch of drunks run around the stadium. Also throw in Mascot races (people dressed as UST Tiger, Cherifer etc) to add to the novelty of the event.